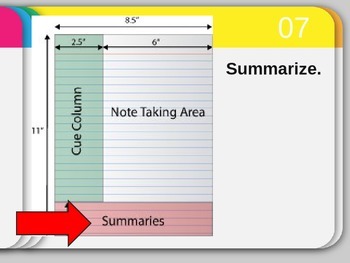 I use this PowerPoint presentation to introduce Cornell Notes in my classroom. 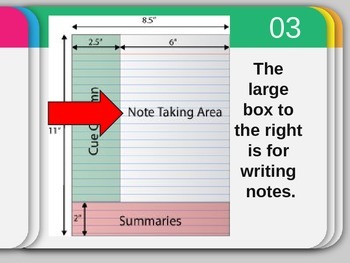 Many of my students do not know how to take notes, and this method really helps them in class to stay organized. In addition this method aids students in studying.